Happy Halloween + Happy Friday! I love Halloween makeup and though I am no makeup artist I love to play around with it. 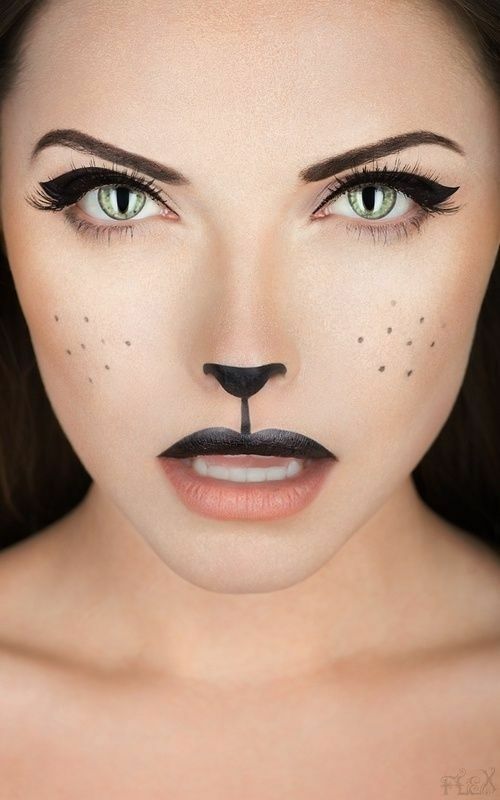 So I decided to share some of my favorite Pinterest finds for DIY Halloween Makeup Ideas with you gals. 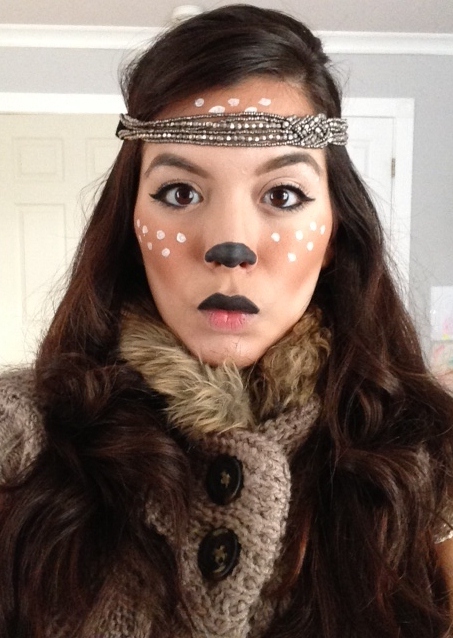 Yesterday on Instagram I shared my costume idea - Bambi! It was super easy to do and it took just about 20 minutes to complete. As a mom on the go this was cute, easy and to me super chic! I added the headpiece and fur lining (from my son's coat!) with a knitted sweater vest and voila! 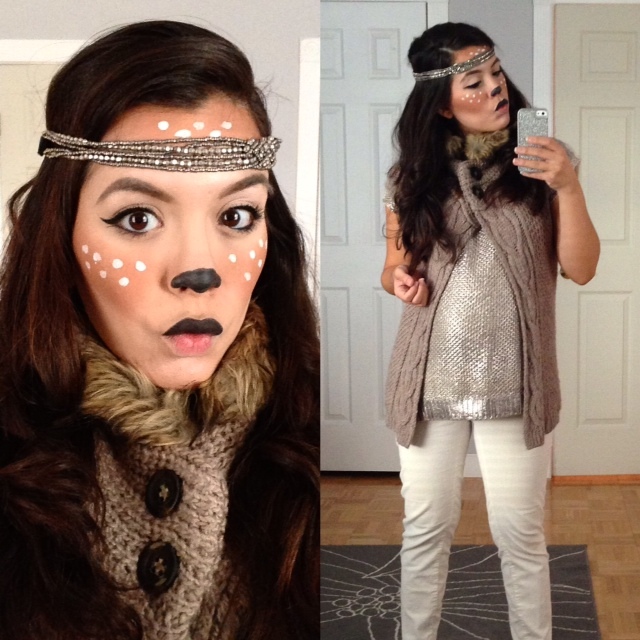 Easy and simply costume idea done! 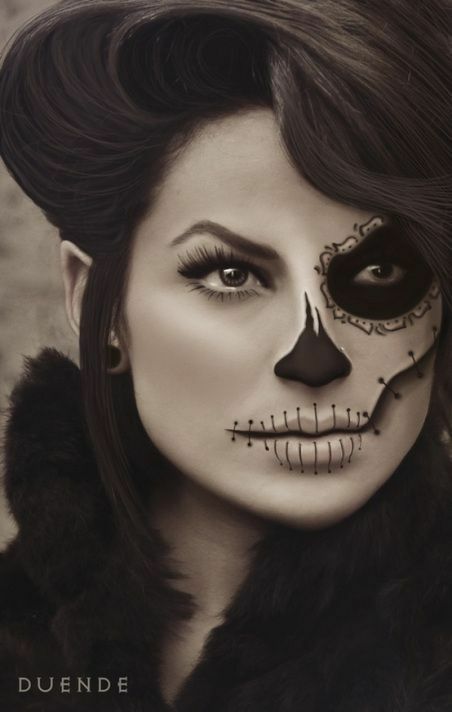 Hoy es Halloween y quise compartir con ustedes algunas ideas de maquillaje facil y lindo para ideas de ultima hora. Me parecieron super divertidos y cheveres. Y aunque no soy ninguna experta creo que algunos son super facil de hacer. 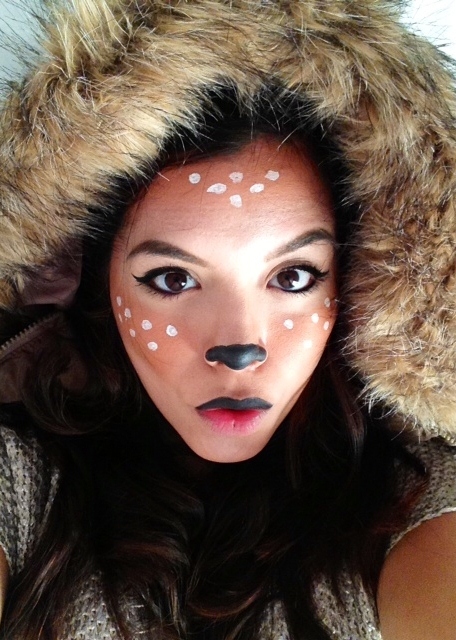 Ayer comparti en Instagram mi idea de Halloween con el look que ven arriba de nada mas y nada menos que Bambi! Lo hize en mas o menos 20 minutos, anadiendole detalles de mi closet y listo, un disfraz facil y divertido para celebrar este Halloween. Espero les guste!